The Women’s Board of Wolfson Children’s Hospital, is proud to welcome nationally acclaimed lecturers and internationally recognized art and antiques dealers to the 41st Annual Art & Antiques Show, The event will take place Dec. 1 to 3, at the Prime F. Osborn III Convention Center, 1000 Water Street in Jacksonville. Guest speakers include designers Maria Crosby Pollard, India Hicks, Kathryn Ireland, Toma Clark Haines, Juli Catlin and William Nash IV. In addition to the celebrated lecturers and more than 40 antiques dealers from around the country and Europe, the 41st Anniversary Art & Antiques show will feature a Booth Crawl with The Antiques Diva®, the Royal Affair Gala with the RiverTown Band and the much loved Children’s Fashion Show featuring current and former Wolfson patients. Show hours are from 11 a.m. to 3 p.m. Friday, 11 a.m. to 5 p.m. Saturday and noon to 5 p.m. Sunday. Tickets are available online at www.artandantiquesshow.com, by phone at (904) 202-2886 or by email at womensboardwch@bmcjax.com. Daily admission to the show is $15. Lecture tickets are $30. Tickets to the “Paddington at the Palace” Children’s Fashion Show are $10 for adults, $5 for children and free to children age 5 and under. Corporate sponsorships are available. 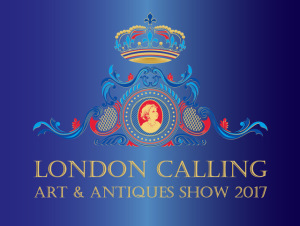 For more information and a complete show schedule, visit the Art & Antiques Show website at www.artandantiquesshow.com.